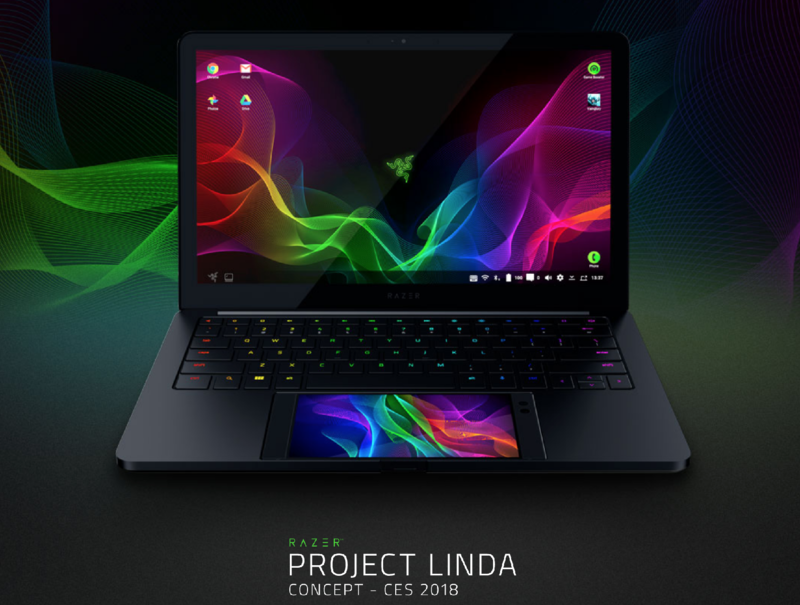 The most interesting product showcased was Project Linda. It takes a Razer Phone, turns it into the brains of the laptop, and the trackpad, and fingerprint reader. It is concept only, but may become a reality later this year. The other interesting product was their wireless mouse and mousepad combo that wirelesslessly charges your mouse. So you have a wireless mouse that will never fail on you mid-game. Its called Razer Mamba and Firefly Hyperflux. The Hyperflux should be coming later this year. Wireless charging mousepad for Razer Mamba Wireless Mouse.